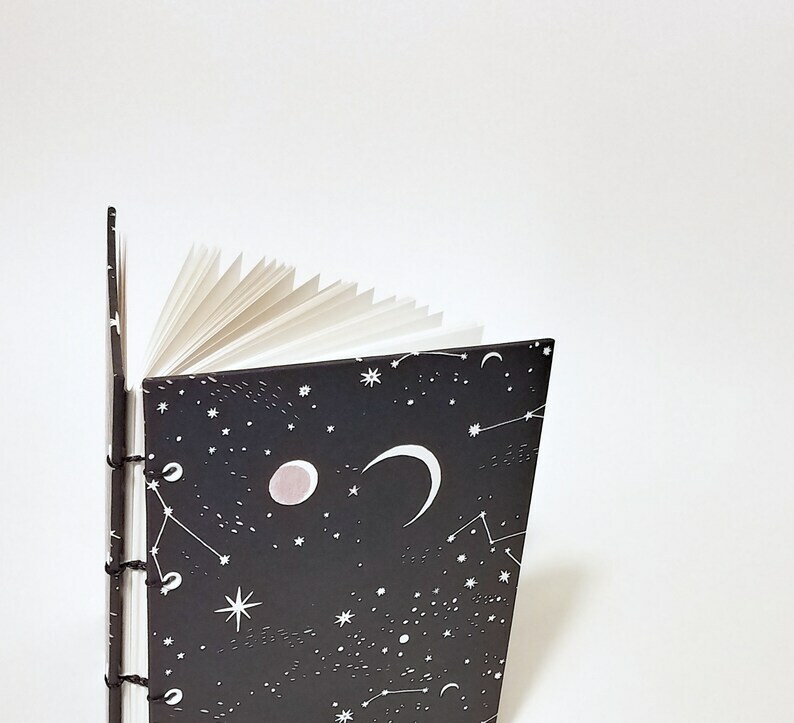 A coptic bound journal covered in a cosmic nights print. Made with .80 Davey board, it is complete with white eyelets, midnight blue waxed linen thread, and white canson paper inside. As pictured: small blank journal. Your journal will be wrapped in a white with gold dots paper and tied with a coordinating white and gold string. Gift tag is included! This journal is beautiful!!! I love the simple design and the attention to detail on the binding! I used this for my senior solo photography exhibit at my university. I got so many compliments on it and it went perfect with my Japanese theme! The customer service was absolutely wonderful and I will definitely be ordering another one in the future! Thank you! !